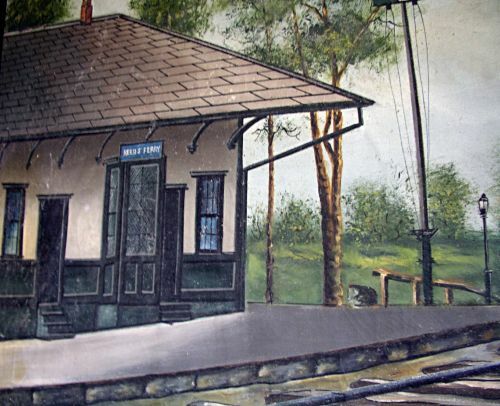 Large Oil On Canvas of \"Reeds Ferry\" train station. Reeds Ferry is a small village that is part of Merrimack New Hampshire. 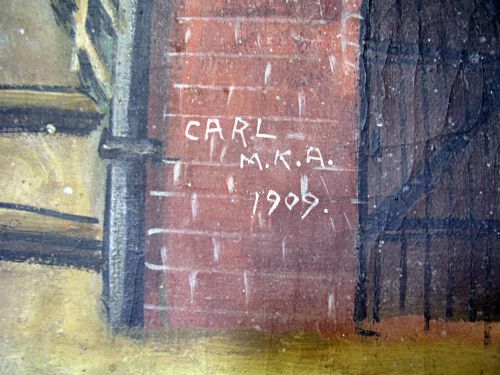 Signed M.K.A.1909 right lower side. Mounted on new stretcher and in great condition. 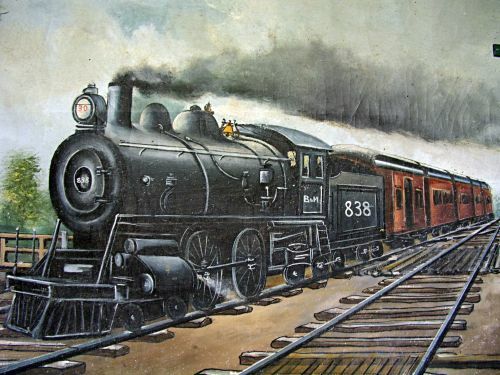 Train Station still stands today and I have an early photograph almost identical to painting.